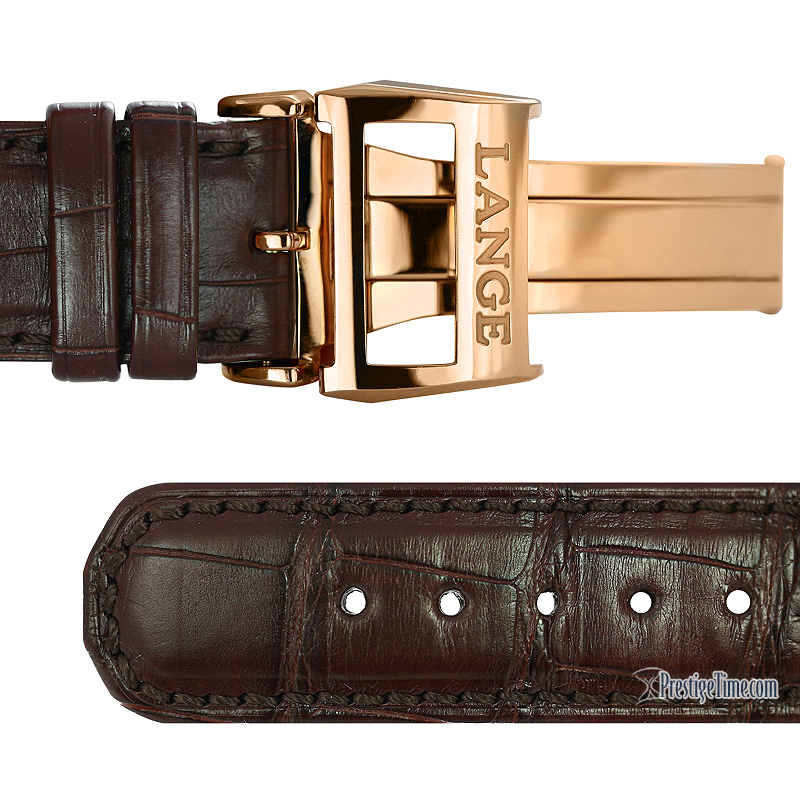 Polished 18kt rose gold case with a fine satin finished case band (edge). 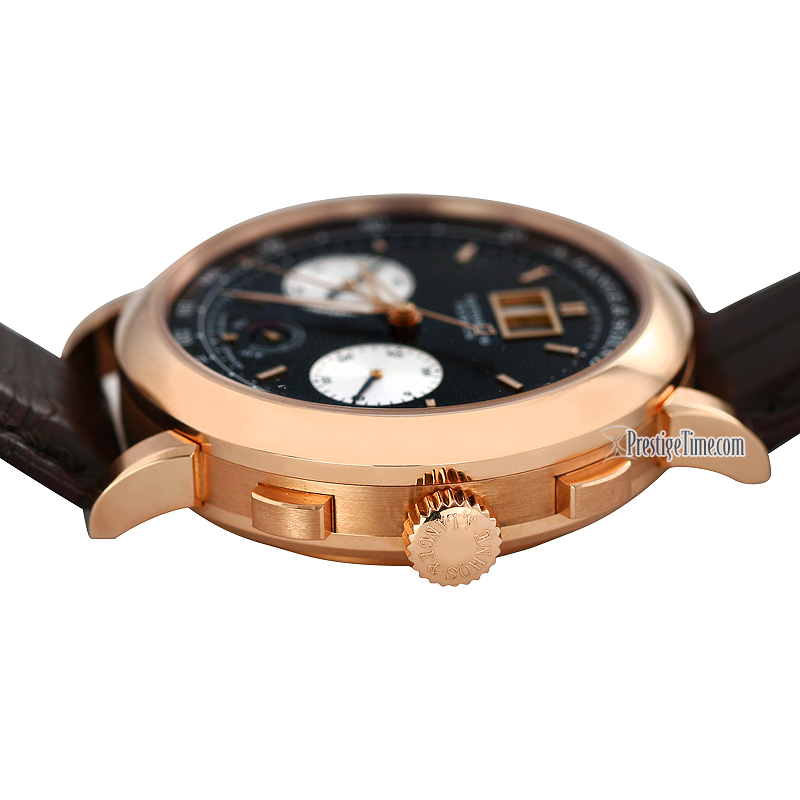 Polished 18kt rose gold chronograph & date buttons with a fine satin finished top. Matte black dial with silver colored sub-dials which are finished with a very fine concentric circle pattern texture. 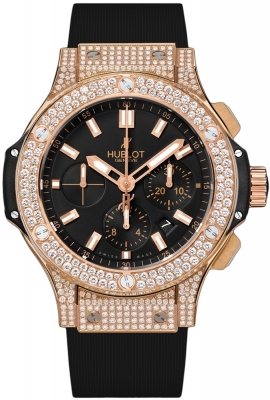 Polished rose gold hour & minute hands with luminous fill. Applied polished rose gold index hour markers. Fine white printed minute, seconds & fractions of a second chapter ring. Tachymetre scale printed on the dial perimeter. 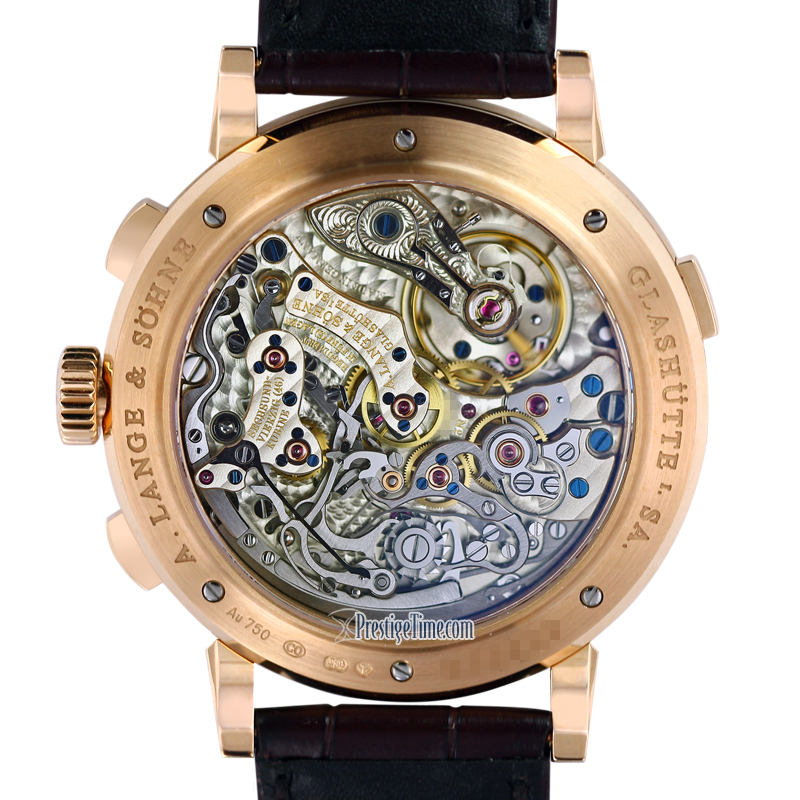 Large double window date display located at the top of the dial with quick correction button located on the case edge at the 10 o'clock position. Small seconds sub-dial with a blued steel hand located between the 7 & 9 o'clock position. 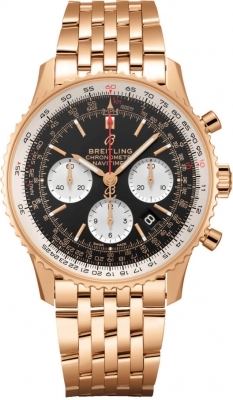 Flyback complication allows for instant restarting of the chronograph with a single push of the button instead of the need to stop, reset & restart the stop-watch. 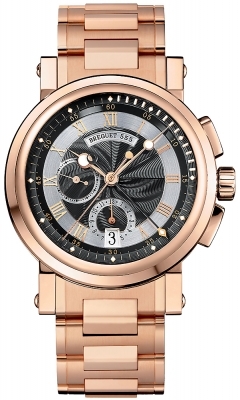 Large polished rose gold central seconds counter hand. 30 minutes counter sub-dial with blued steel hand located between the 3 & 5 o'clock position. Furthermore the minute counter hand of the chronograph jumps in 1 minute increments rather than continuously moving - this allows for accurate reading of the timing function. Power reserve indicator: small AUF/AB (Up/Down) power reserve indicator located just above the 6 o'clock position with a polished white gold triangle hand. 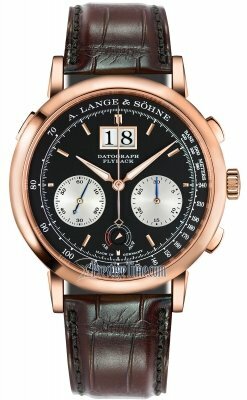 A. Lange & Sohne Caliber L951.6, beats at 18,000 vph, composed out of 451 parts, contains 46 Jewels & has an approximate power reserve of 60 hours. Each part & component of this movement has been meticulously & lavishly finished with extremely detailed handwork. The movement is mesmerizing & beautiful! Everything about this watch screams perfection! Each component of the movement is meticulously finished. 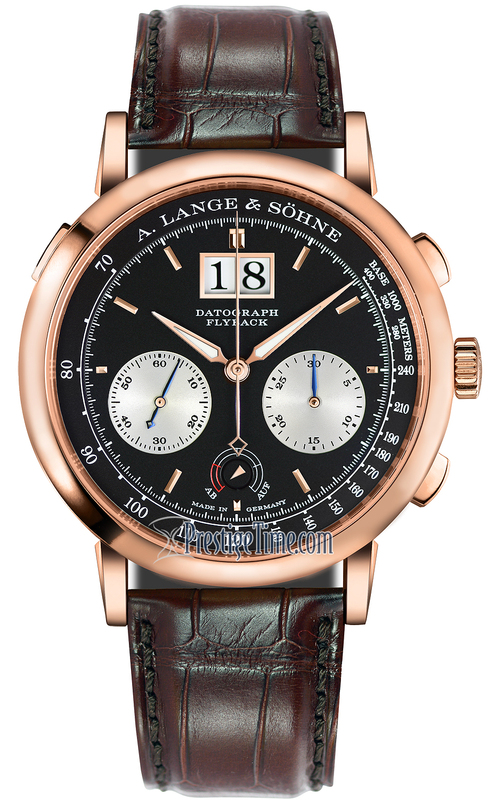 Arguably one of the best chronographs ever!